Well we have been making our summer husbandry interns work hard the last few weeks! May 23rd we took a road trip down to Warm Springs National Fish Hatchery to pick up 2,000 juvenile sturgeon, which is their primary job this summer. We have research and conservation projects that need field work this summer as well so there is plenty to do. It takes everyone to keep TNACI going! Stephen Floyd is our full-time intern this summer. Stephen comes to us from Virginia where he just graduated from Roanoke College. 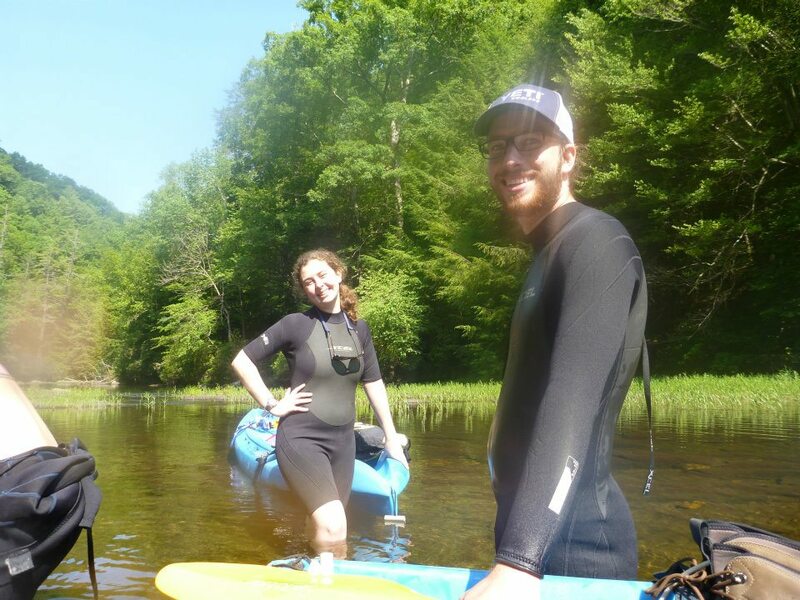 He has a passion for southeastern fish and is especially intrigued by Southern Appalachian Brook Trout so he is working on an independent study of this species this summer. Jessica Hubbuch is graduate student at the University of Tennessee here in Chattanooga and is working with us as a part-time intern this summer. She is currently working on some urban stream surveys with UTC and organizes their museum of biological specimens. She is working hard this summer to help TNACI organize, label and find homes for many cool specimens that we have been saving over the years from the Aquarium. Scientists are always on the lookout for preserved specimens to use as teaching tools believe it or not! Louise McCallie and Josh Oliver are also working with TNACI this summer. They are both volunteering their time to help us a few days each week. Louise is a 2011 graduate of GPS here in Chattanooga and just finished her freshman year at Lehigh University so we are glad to have her while she is home for the summer. Josh is finishing up his biology degree at Dalton State and is helping us out one day each week to get some fisheries experience. Whew what a crew! We are lucky to have so much good help this summer. These guys are excited to be here and ready to work hard and learn lots! Most of the intern work has focused on caring for our lake sturgeon babies so far. 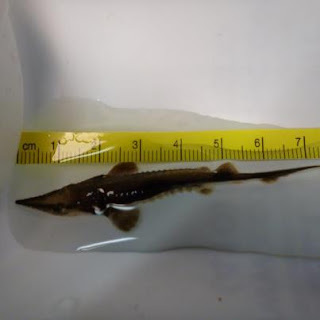 When sturgeon are so little (many of them were 1.5 cm on May 23rd! ), they need to be fed often. The first few weeks we fed four times each day so someone had to be at work at 7am and someone had to stay each evening until 8:30. Now that they are so much bigger (up to 8.5 cm!) we have reduced that to three times per day. Regardless, each time we feed there is cleaning to do. The fish eat for an hour or two with the pumps turned off and the water calm to make it easier for them to “hunt”. 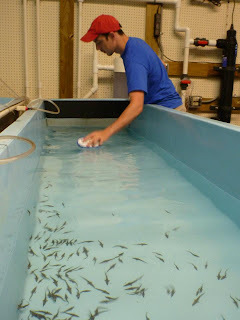 If the food sits on the bottom too long it begins to degrade, which can make the water unhealthy for the small fish, so the tanks are cleaned shortly after the fish eat. It’s a daily cycle of feeding and cleaning... much like a human baby! We also have to sort and measure fish so all of the individuals in each tank are approximately the same size. This minimizes competition for food. Each week we take a series of measurements on a sub-sample of fish to keep up with how fast they are growing so that we can adjust feeding amounts and make other changes as needed. At first, all 2,000 fish were in one trough tank. Currently they have been sorted into 4 tanks and as they continue to grow they will be divided into 6 troughs. This extra space helps the fish to grow but it also increases the amount of work it takes to keep everything clean. Did I mention we clean a lot? 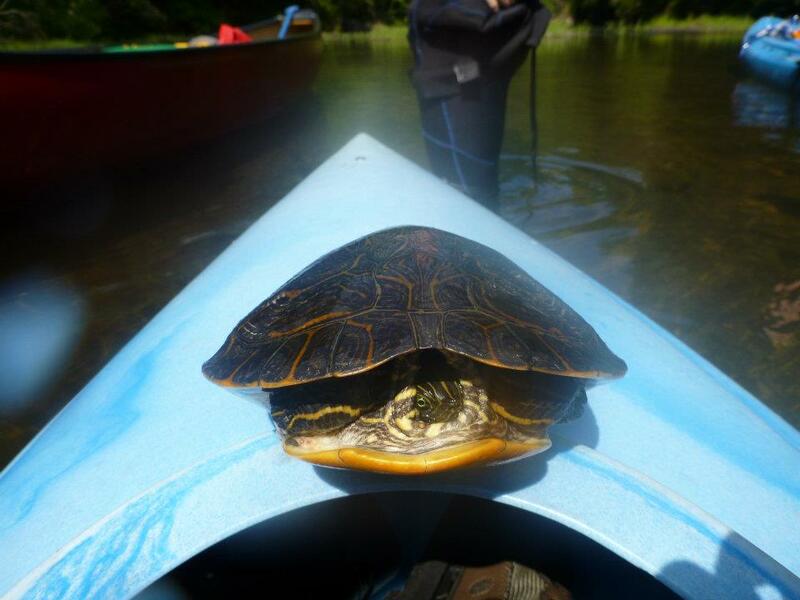 Our interns also get the chance to go in the field and help with some of our conservation projects. Last week we went to the Conasauga River to do some surveys for Conasauga Logperch (Percina jenkinsi). Everyone paddled kayaks down the river and snorkeled in a part of the river that we had not surveyed before. 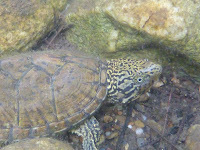 We were assessing the habitat along this stretch of river and of course, looking for our target species. 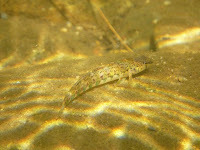 Unfortunately we didn’t find any Conasauga Logperch, but there was still a lot of aquatic wildlife to be seen so we took pictures of holiday darters, tadpoles, Mobile Logperch, turtles and insects. It was a long day but worth the effort. Later this summer we will be working at the Colvard Springs restoration site and collecting fish for the Aquarium and ongoing research projects. Stay tuned to hear more about all the work we are doing this summer at TNACI while we have all this great help!